A few days ago I joined some of the local club members at one of the club’s repeater sites that just happens to be located on top of one of the buildings at work. The two repeater controllers were due for firmware upgrades, but my task was to look at the IRLP node, see if it was still running, find out what it was running, make a copy of the software and get remote access to the machine working. I’ve never done anything with IRLP before, but my job was pretty simple. 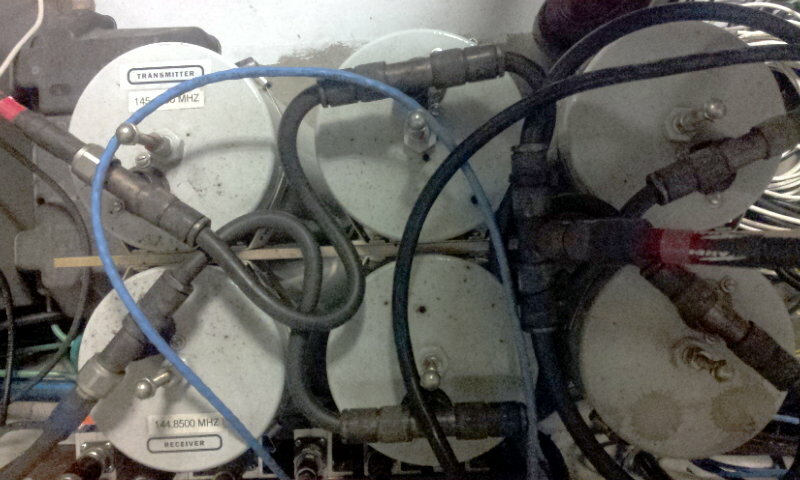 The equipment is located in the “penthouse” of a 12 story building that houses all the ventilation equipment for the building, making it a fairly noisy place. 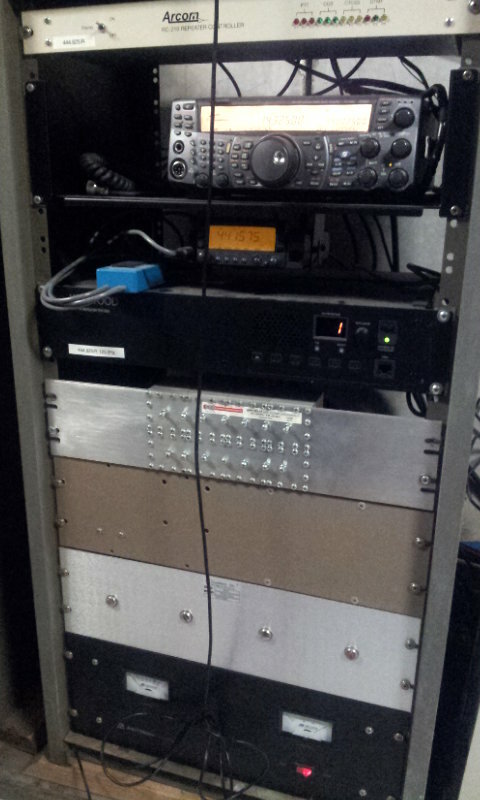 The club operates VHF and UHF repeaters each in their own cabinet. The IRLP node was an ancient Dell computer sitting next to the repeater cabinets. After attaching a keyboard and monitor to the box, I found it running Fedora Core 3 and spitting out disk errors to the console. Trying to log in to the computer just caused more disk errors to be spit out. Rebooting confirmed that the disk was dead and unreadable. So much for working on the node. 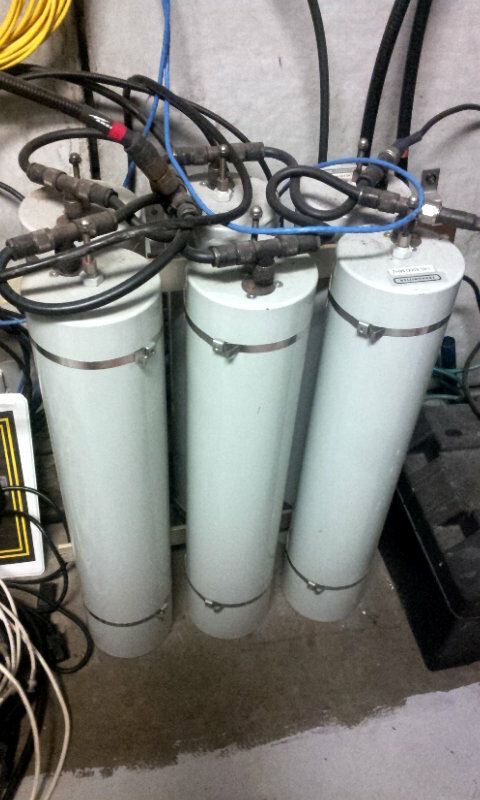 Now the job became one of hardware recovery. Took a bit more effort than I expected, but I was able to pull the hard drive and the IRLP board out of the computer. One of the other club members is going to try to rebuild the node using newer hardware, maybe a Raspberry Pi IRLP node (PiIRLP). 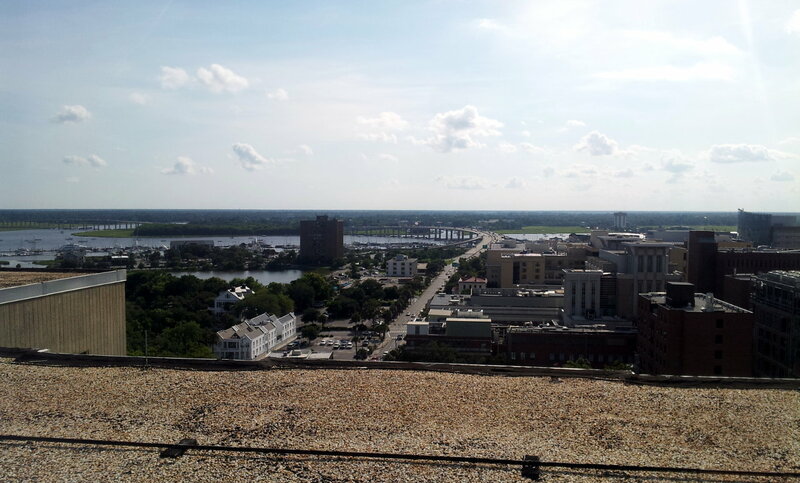 On the way out, I got a couple of pictures of the great view from 12 stories above Charleston. This is looking west towards James Island and West Ashley. You can see the James Island Connector in the background. This is looking east-ish at the rest of the peninsula.